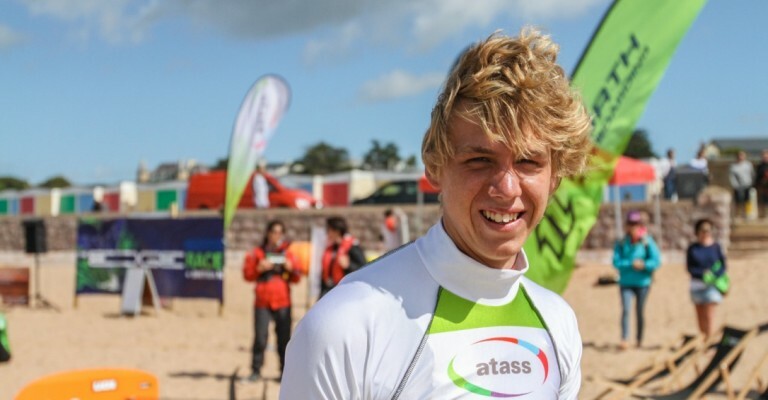 A 200-metre leap by a British kite surfer over a sand spit in Dawlish Warren on the south coast of Devon could be one for the record books. Professional kite boarder Olly Bridge told Sky News he flew about 200 meters over the sand spit, in a stunt that he believes has never been attempted and landed before. He said it was “possible” he would submit it for the Guinness Book of World Records. Last Sunday, the 21-year-old took off from a tide pool in the Exe Estuary, rising about 15 meters into the air as he flew the entire width of the sand spit before landing smoothly onto the sea surface. All in a matter of 16 seconds. He said it was possible due to “perfect conditions,” and thanked a “really strong north-westerly wind blowing straight down the river,” for helping him complete the leap. Despite eyeing up the sandbank for a while, Sunday was the first time Olly managed to pull off the feat.